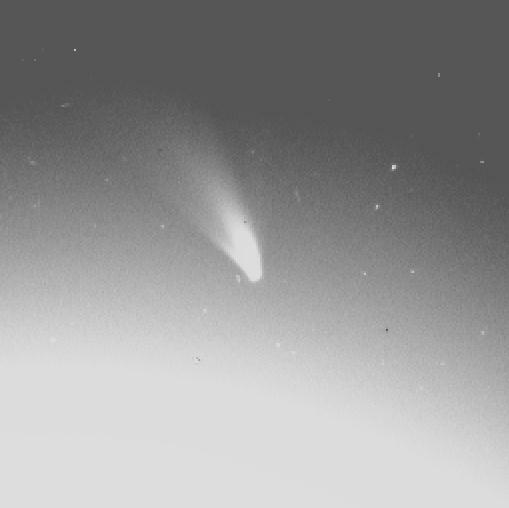 First image: Comet Close-Up - White Light Image taken on 2 May 1996. 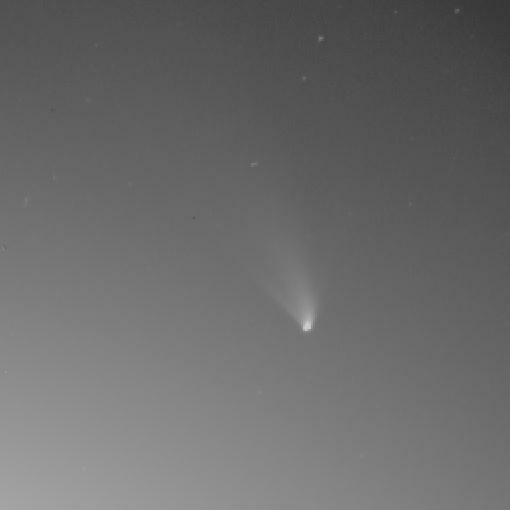 Second image: Comet Close-Up - White Light Image near min. elongation - 3 May 1996.